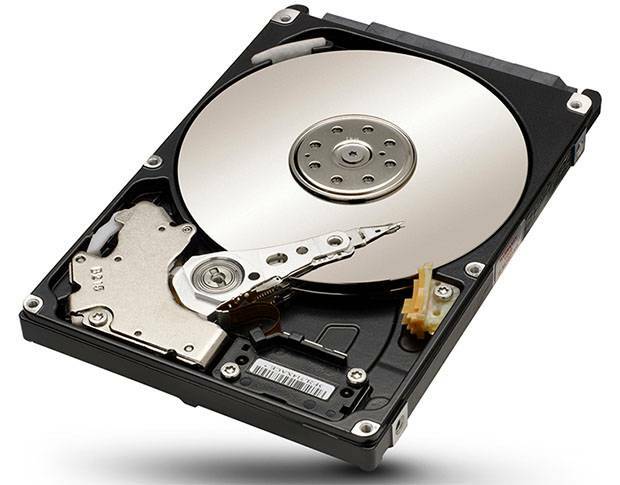 Seagate/Samsung SpinPoint M9T [ST2000LM003] Hard Disk Drive has been renowned to be the only hard drive in 2TB capacity that perfectly fits into the PS4 as a large replacement for the stock drive of PS4. Although PlayStation 4 is being shipped now with 1TB of storage capacity, this is still small and insufficient to many enthusiasts who have heaps of games and movies to store on their internal storage subsystem. We have already discussed the storage expansion options a PS4 user can go for in a few articles, and we manifested the advantages and disadvantages of swapping your current PS4 stock internal hard drive and we concluded that acquiring an external hard drive for PS4 seems to be a better solution for the majority of users who can dispense with lots of locally-stored files in favor of an external storage solution. 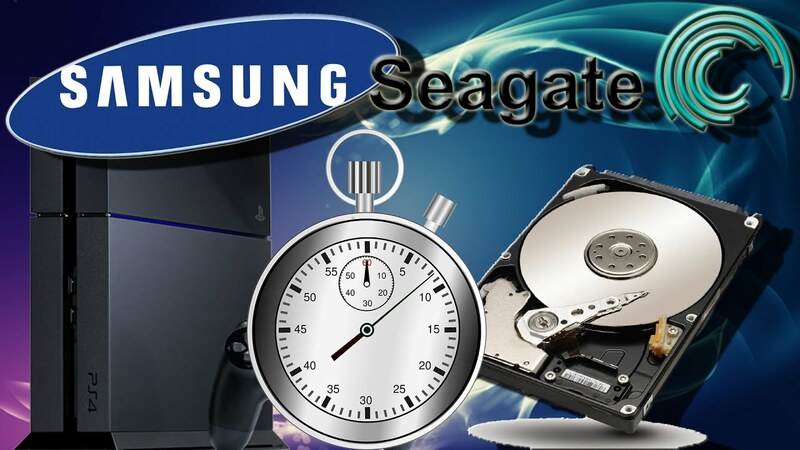 But, in the other hand, there are still a wide variety of users who want to keep their huge files accessible on the internal hard drive of PS4 for some personal reasons they know better about, and for this class of users Seagate, with the cooperation of Samsung, has released a 2TB hard drive in 2.5-inch form factor and 9.5mm thickness, which ideally complies with the standards of a typical PS4 hard drive that doesn’t accept thicker than 9.5mm. 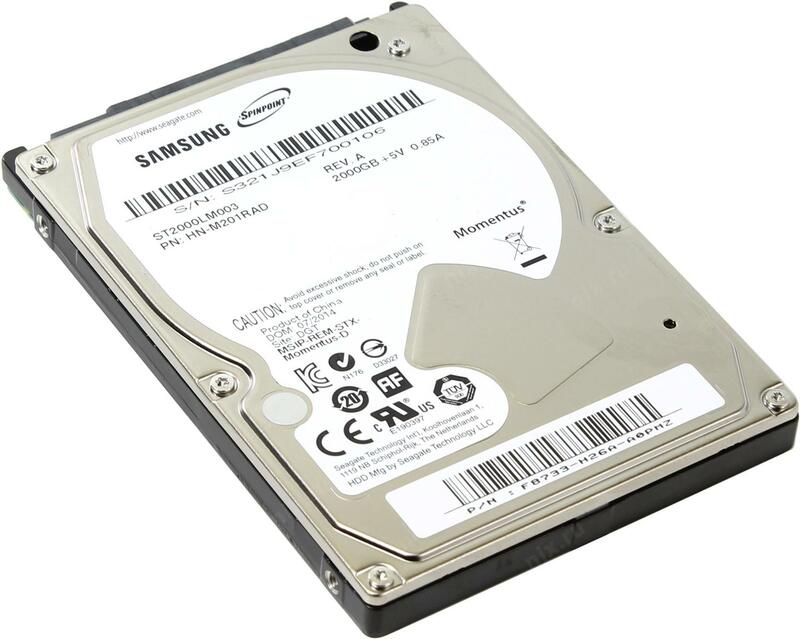 The SpinPoint M9T ST2000LM003 may be the first notable Samsung/Seagate, a 2.5 inch hard drive with a 5400 RPM motor available in capacities of 1.5TB and 2TB. This in itself isn’t remarkable, as both Western Digital and Toshiba have 2TB notebook drives available for sale. However, the M9T is the first and currently only high capacity model using a standard 9.5mm thick form factor. Competing drives are 15mm thick, making them incompatible with the majority of devices that accept 2.5 inch drives including PS4 drive bay. The SpinPoint M9T ST2000LM003 uses a 3 x 667GB platter design to achieve this feat while its competition is still stuck on a 4 x 500GB layout. For laptop users who seek the largest possible internal hard disk drive replacement, the SpinPoint ST2000LM003 is a perfect solution that provides them with a sufficient 2TB of storage capacity in a slim shape. The Spinpoint M9T isn’t skinny enough to match 5- and 7-mm notebook drives, but it’s a fair bit thinner than competing 2TB offerings, which are 15mm thick. Despite its slim profile, the Spinpoint packs three 667GB platters. A 1.5TB version is also available, and both variants have 6Gbps SATA connectivity and 32MB of DRAM cache. The spindle speed is a sluggish 5,400 RPM, though. I wouldn’t recommend running an OS or applications off the M9T, but is rather faster than the stock drive of PS4. In laptops that have two HDD rooms, a secondary storage seems like a more suitable mission, ideally accompanied by a solid-state system drive. The M9T is highlighted by its capacity and physical size, but there’s plenty of other engineering inside. The drive is notably quiet thanks to its use of NoiseGuard and SilentSeek technologies; it reportedly maintains 25 decibels while idle and 27 decibels during performance. It comes equipped with both ATA Security Mode and ATA S.M.A.R.T. features to keep the drive protected from anyone but the intended user. The Spinpoint M9T also comes equipped with standard head load/unload technology to keep it protected from internal physical damage, which is a consideration with any HDD. For a complete list of specifications, you can download the drive’s official datasheet from here. Why Seagate and Samsung together? You may wonder why times people refer to this drive as Samsung while other refers to it as Seagate. The reason is that the architecture of this drive has been designed originally by Samsung, but then Seagate acquired the whole HDD department of Samsung. Seagate Technology said Tuesday it has completed the acquisition of the hard disk drive (HDD) business of Samsung Electronics, after it recently received approval for the deal in Australia, China, and the European Commission. Seagate said in April that it was acquiring the HDD business of Samsung Electronics for US$1.4 billion in stock and cash. The Spinpoint M9T ST2000LM003 serves as a welcome reminder that Samsung engineers are still working away under Seagate ownership to continue to improve their mobile hard drive offerings. The Spinpoint platform has been very popular in the notebook space, the 1TB M8 drives that are several years old, still find their way in to many OEM systems. The M9T then offers the company an excellent opportunity to grab market share with their 2TB drive capacity that just can’t be matched today by any other vendor in a standard 9.5mm, 2.5″ form factor. As far as PlayStation-4 (PS4) realm is concerned, SpinPoint M9T ST2000LM003 has literally no competition at all in the 2TB capacity space, as it’s the only 2TB hard drive with 9.5mm thickness available on the market as of today and since it was released. You may check more options for PS4 internal hard drive upgrade in our specialized article. If you are going to upgrade your current PS4 hard drive, you may consider a 4TB hard drive instead. After the PS4 software update v. 3.5, a 4TB hard drive upgrade is possible now without any issue at all. But this will cost you more than just a mere drive! You need to workaround the small size of PS4 drive bay that doesn’t accept thicker than 9.5mm. Read more on how to upgrade your PS4 hard drive to 4TB capacity here. Eventually, since this drive will likely be utilized in a notebook, HTPC or game console setting like PS4, the low performance power consumption is especially promising. Against other laptop HDDs around, it offers the highest sequential transfer speeds topping just under 125MB/s. For moving media around or acting as a bulk storage device this would be its primary use case. Overall Samsung M9T is a very impressive drive, which upped the capacity of existing 2.5″ consumer HDDs and did so without moving to an exotic form factor.